Search engine optimization is a process of making a website search friendly. In simple words, when a search is made then for a particular query or a topic a website is shown in the top of search results. That website is called to be a search engine optimised. 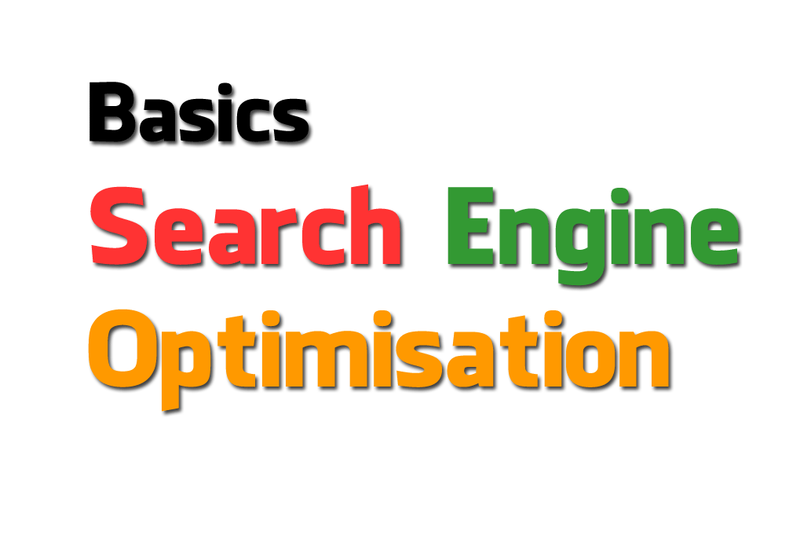 So let's get to the basics of search engine optimisation. In older days, before Google, Yahoo or Bing internet used to be a directory of a lot of website, links and a place where the searching was like finding a pin in a jungle. In 9190's the foundation of search engine started lading. At the start, Search engines were only the projects in colleges but in 1995 with Yahoo there was a boom in search engine industry. But later due to complexities and other problems Yahoo was not able to rule the hearts of the people, however they were getting a lot of traffic in their early days. But with google by Larry Page and Sergey Brin the face of search engine was changed and their Google extraordinary ruled the heart of people within no time. So how was new search engine different form Yahoo and all other search engines ? The biggest trick that google applied was back linking, that means the website that has got a lot pointing links from other websites was to be shown up in the first. And from then it is the basic of google search results. And here comes the search engine optimization. So how will you make your new website show up in first search results by search engines. To do that first you need to understand how search engine works and then you will be able to make your website search engine optimised. Google and other search engines use a program called crawlers which are used to read all the websites in the entire internet. The search spiders use to read headings, back-links, keywords and all the content. Then after that these crawlers send that data for indexing and after that that data is stored in Google data centres. Then when ever a search query is made google show up the results from the nearest data centre. For showing a particular website on the top of search results google matches more then 200 conditions. First as I told earlier that back-linking plays an important role. If you have an awesome content, and other websites found it useful and link towards your website, then your website will be up in search results. The more number of back links, the more chances you will show up. Another most important factor is proper key word research and placement. As google web crawler crawls website for the keywords so, it is very important to place keywords right in place that means doing it naturally, not over doing it. The most important factor to make your website optimised is providing quality content. Right now article with more than 300 words is considered as informative, but as I found that 500 words is must and the plus point is that the more lengthy and informative your article will be the more it will be search engine optimised. Oh ! SEO is not just about article length; with it your website must have proper structure, fast loading time, no broken links, easy navigation and a now in trend cellphone compatibility. Have you ever heard "Images are equal to thousand words." Aha ! and you follow this formulae in your blog or website, then keep in mind images plays an important role in increasing or decreasing your website rankings. So don't forget to optimise your image. And update frequency. Being consistent is the formulae for showing up first. With all these basic factors Google's smart algorithm decide who is going to show up in first and who's not ! That's all with the basics of search engine optimization. Further we will dig deep the SEO. If you have any questions and feedback regarding to SEO then you can let me know in comments. Enjoyed the article ! Why not share ? Loved by all Computer Geeks and nerds. Continuously Being upgraded with new programs and Information By Geeks for Information Seekers. Check out more Tips and Tutorials in my YouTube Channel and help Upgrading Me. © Copyright 2015 The Guy's Computer . Designed by Bloggertheme9 | Distributed By Gooyaabi Templates.